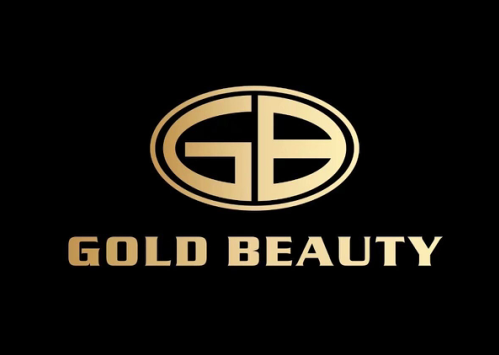 beijing sincoheren introduction (ipl, laser, body slimming, co2 fractional laser etc) - Gold Beauty Limited. Established in 1999, Beijing Sincoheren S&T is one of the earliest high-tech company which works on medical laser, intense pulsed light and radio frequency’s research, development, production and sales. Headquartered in Zhongguancun, the Hi-tech Zone of Beijing, Sincoheren has its own R&D Department, Sales Department, Factory, Quality Control Department, General Department and so on. Sincoheren is a well-known new high-tech enterprise both at home and aboard which possessed of “Medical Device Manufacturing and Selling License Qualification” and “Proprietary Intellectual Property Rights”. Since the first brand Monaliza was created by Sincoheren, we consistently devoted to provide professional ODM service to customers. By setting up 15 full-time hi-tech research and development staff to do UI design, Modeling design, structural design, hardware design, software design and optical design. Sincoheren provides professional ODM service to many famous distributors and medical cosmetology institutions. With several years of development, for the sake of providing better and advanced equipment’s for customers, Sincoheren has gradually formed an efficient product development process, SPDP. Meanwhile, the factory of Beijing Sincoheren, located in Yizhuang development zone, covers 1,200 square meters with 10 production lines which is capable to produce 3000 units per year. Sincoheren is a professional manufacturer by strictly following ISO13485, ISO9001 quality control system requirements. Every machine has to pass our strict quality control process before packaging. Sincoheren’s priority always is the quality of every machine. After several years of development, Sincoheren specializes in manufacturing anti-age skin rejuvenation, hair removal, body slimming treatment machines, including (IPL) Laser machines, CO2 Laser machines, 808nm diode Laser machines, Q-Switched ND: YAG Laser machines, Cyrolipolysis machines, body slimming RF machines etc. Until now, our products cover 100 countries and areas in the world and more than 50,000 pieces of device have been installed by 20,000 users aboard. Among them, Kuma, Coolplas and Elite, Razorlase are our well-known brands. Our products have been approved by many medical device certification institutions worldwide, including FDA in USA, Medical CE in Europe, TUV in Germany, TGA in Australia, CMDCAS in Canada. Sincoheren has become the most professional medical laser equipment manufacturer which obtains most complete certification system among all Chinese suppliers. It is definitely the first brand of Chinese suppliers selling at international market of medical laser equipment industry. On the other hand, Sincoheren has established a sophisticated marketing and sales system. Both marketing department and sales department has been set up in the Headquarter of Sincoheren. Among them, 33 staff members work for international sales departments, covering Europe, Australia, Asia, Mid-east, America and other areas. In order to provide better service to international customers, Sincoheren opens many branch offices located in Castrop-Rauxel Germany, Sydney Australia, Hongkong, Losangeles USA. Our products have been installed all over the world. Besides, Sincoheren has established a comprehensive after-sale service system, training system, operating system with professional staff to provide meticulous services to customers. Recently, Sincoheren has rapidly occupied both domestic and international market by technical innovation and quality service. Our annual turnover is more than a hundred million RMB per year. In the future, Sincoheren will sincerely serve the society and create a better life for humans through continuously developing innovations of medical products and equipment’s.